MASAO KAGAWA 6th DAN J.K.A. MASAO KAGAWA. World Shotokan Champion. Interview By John Cheetham. Senseis Asai, Yamaguchi, Kato & Kagawa. York Course Report. MIKIO YAHARA - 'Portrait of a Legend'. By John Cheetham. Secondary Elements of Kata. By Steve Hyland. Kase, Shirai, Kawasoe & Naito. U.K.T.K.F. Course Report. Weight Changing - 'The spare leg theory' By John Cheetham. 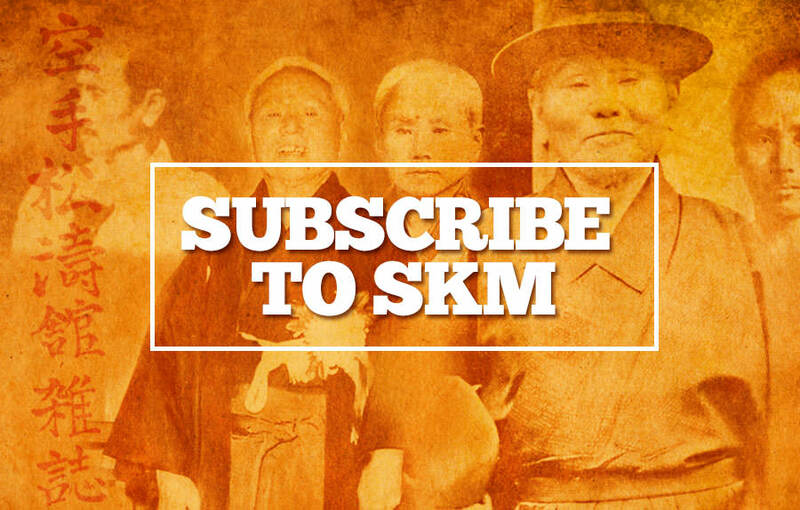 S.E.K.U. News and Events. By Vanessa St. Clair. 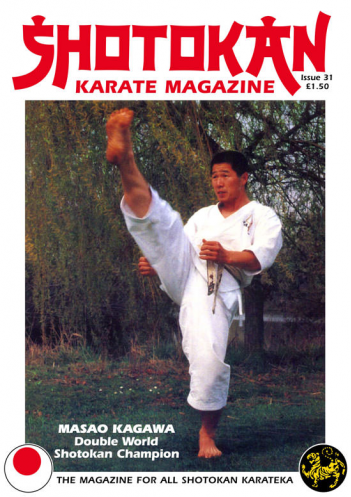 Having recently spent some time in the company of World Shotokan Champion, MASAO KAGAWA, I'd like to tell readers that apart from being an unbelievable Karate technician and fighter, he is also a 'gentleman' in the true sense of the word. He is such a relaxed, unassuming man with incredible talent. When I told him about an article I've done for this issue, 'Weight Changing, The Spare Leg Theory', he insisted on doing all the photo's to accompany the text. The reason being that this is exactly what he teaches in basic movements, and believe me, not many can move like KAGAWA! Also in the last issue, I did a book review on 'Stretching Scientifically', but did not know where to get the book from. That is now remedied. The sole U.K. distributors for the book, ASIAN PUBLISHING, are advertising in this issue, and they very kindly sent me the video which is a marvellous complement to the book. This is excellent material on 'Flexibility' training - first class stuff! Another book just published of special interest to SHOTOKAN practitioners is 'TRAINING WITH FUNAKOSHI' by Dr. Clive Layton. A book about the founder of our style is always worth a read and I highly recommend this 'cracking' little book on 'SHOTO', Master GICHIN FUNAKOSHI. The profiles and stories on the Japanese Masters in the last issue proved very, very popular, so once again we feature a senior and infamous character in this issue, MIKIO YAHARA, one of the toughest men to come out of the J.K.A. - not just a brilliant fighter, but also a dynamic KATA performer. Read what Sensei KAGAWA has to say about YAHARA, his sempai (senior). It ties in with his 'message' to students.